Breathless Tenement Man: It's the fourth floor. Q: What other Poe works are mentioned in the movie? Q: What is 'The Raven' about? 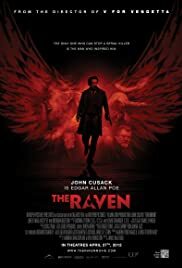 Q: Is 'The Raven' based on Poe's poem? 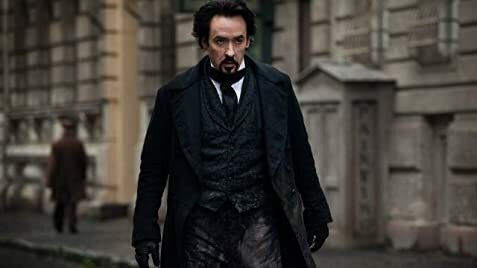 I have a great appreciation of Poe, and I have a great appreciation of Cusack. What the he__ went wrong with this movie? From the very first statement that showed on the screen that he was found dead on park bench, I thought, "What???" Poe was found face down in a gutter in front of Ryan's Saloon and died three days later of what was suspected of alcoholism, with a remote possibility of complications of diabetes, or even rabies, however, shortly before his death, it was reported that he was behaving in a manner consistent with mild epilepsy, or of his bipolar disorder. OK, Oh well, it's Hollywood, right?? From the get-go, the acting was so over the top, and made Cusack appear to be an unseasoned newbie, however, Luke Evans shined in his role. The script appeared to be written rapidly and without care. It said it was a horror movie, however, it is actually a murder mystery, and not a very good one. Agatha Christie would've definitely thrown this one out. If the author makes the suspect way too un-obvious, then what is the fun it in?? This could have been done so far better then what the final product actually was. Unfortunately, it was a large disappointment. Better luck next time. 44 of 87 people found this review helpful. Was this review helpful to you?